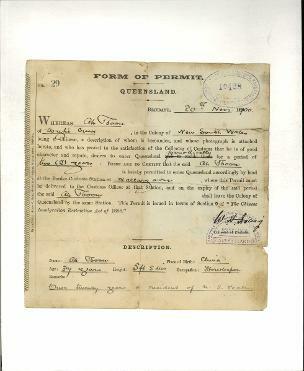 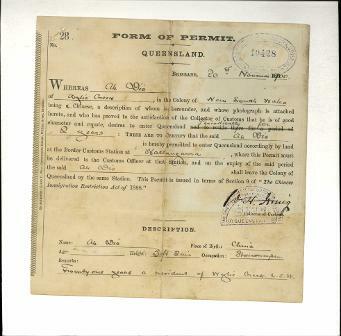 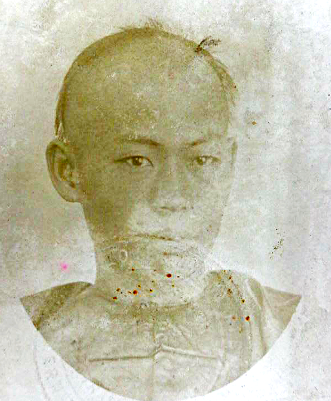 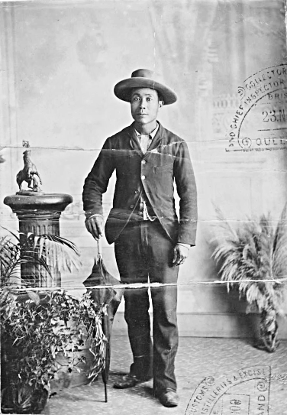 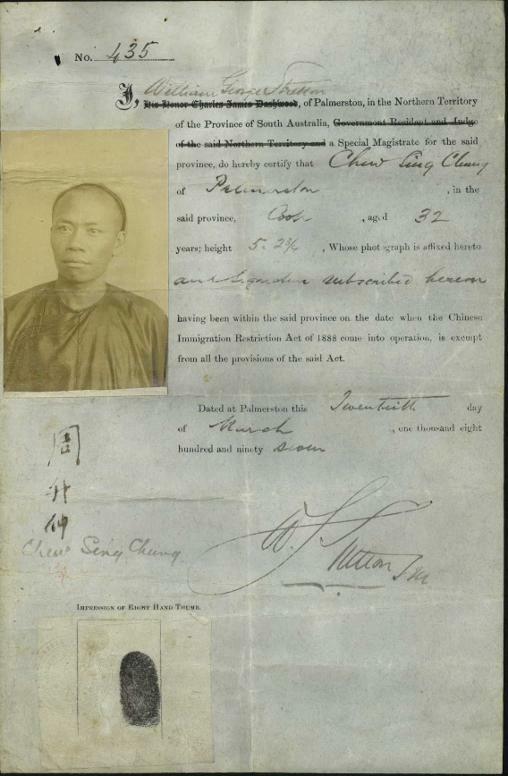 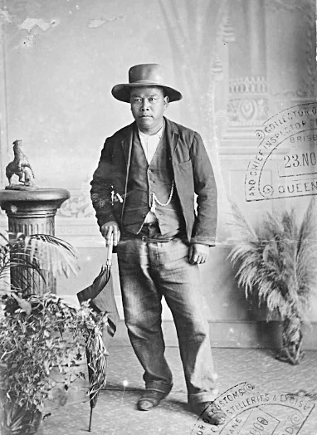 Chow King aged 28 was issued, at Palmerston, with a permit under the South Australian Chinese Immigration Restriction Act of 1888 on the 5 October 1891. 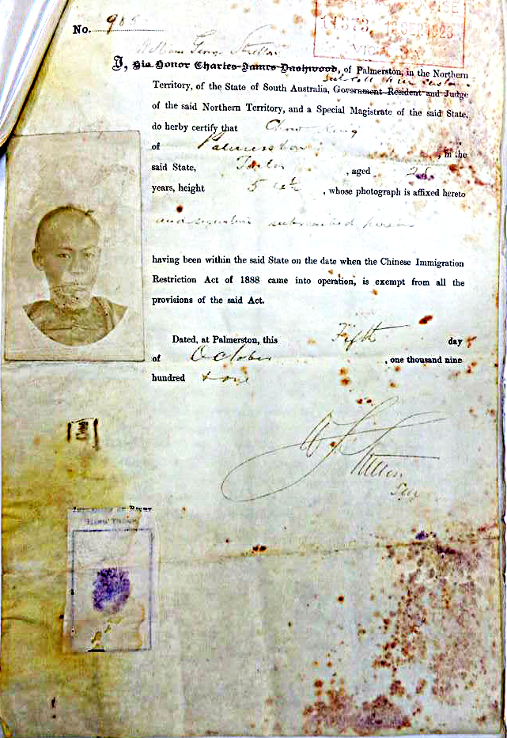 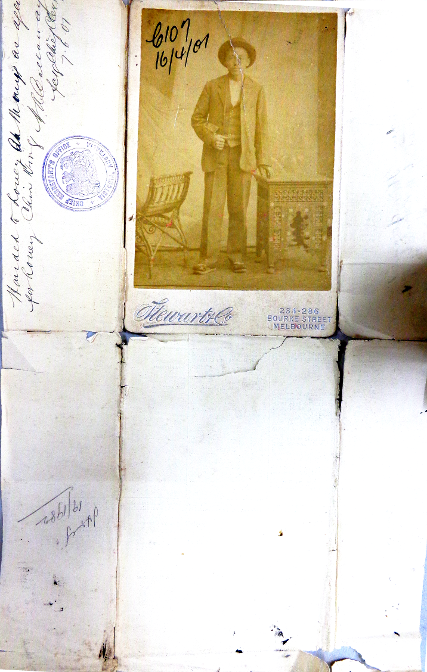 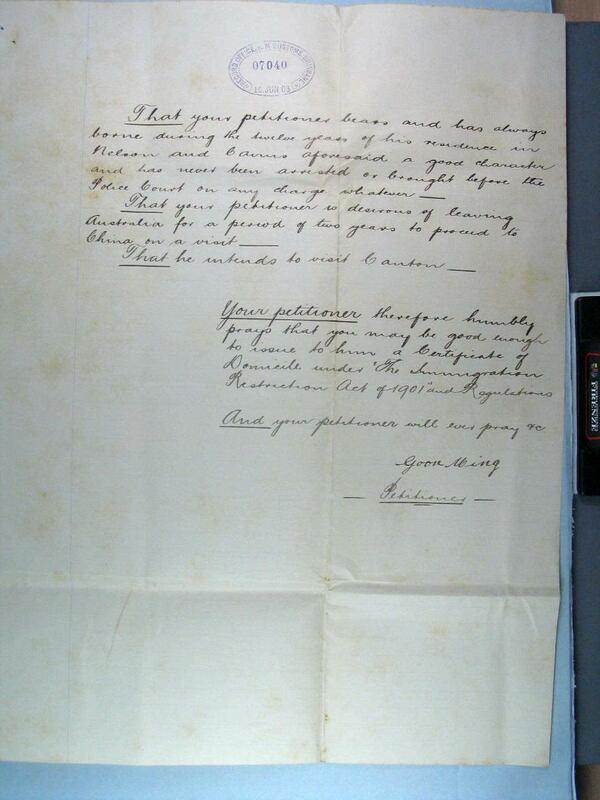 This is the oldest travel permit photographdiscovered in the National Archives as at November, 2014. 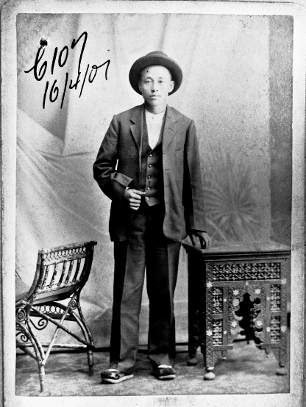 Lau Ku, born in tWang Lu iVillage, Toi Shan District, Canton on31.8.1893. 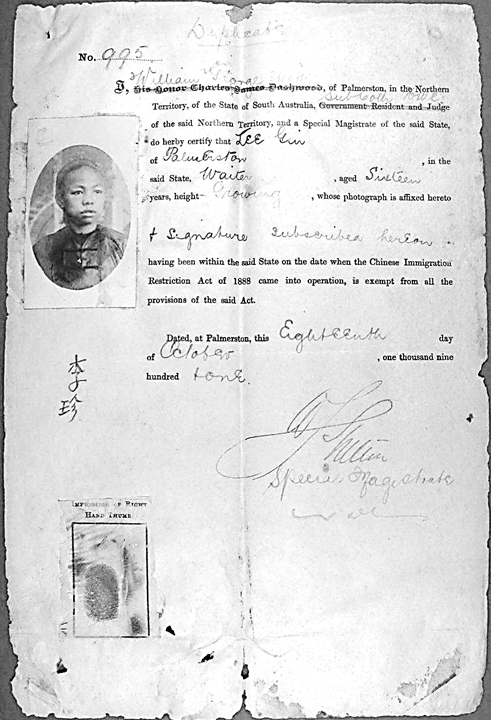 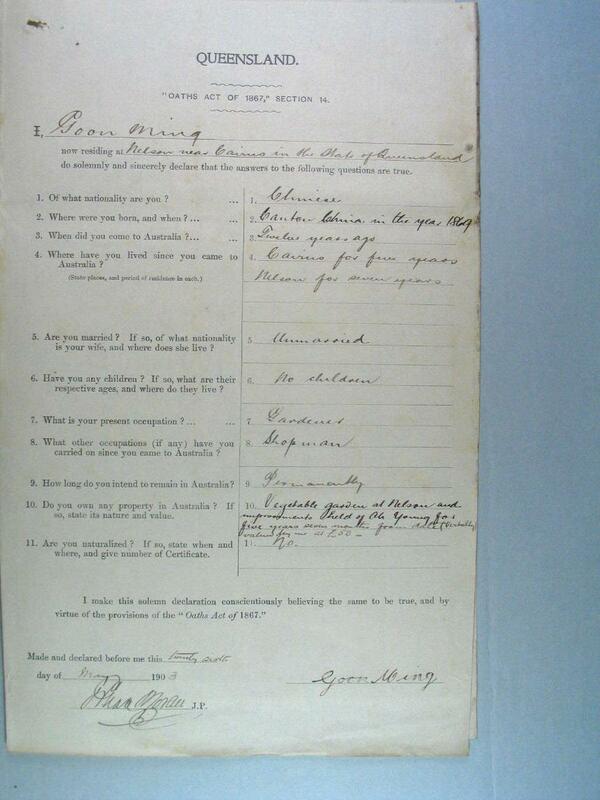 Describing himself as a merchant he tendered this Form Of Chinese Certificate as identitiy for Certificates of Exemption.